The fact that Orci is no longer helming Star Trek 3 is going to give a lot of fans new hope following the disappointing Star Trek Into Darkness—Orci gets a lot of the blame for the lackluster sequel to the 2009 revamp. But out of the smoke emerges the rumors that Wright might be in line to take the helm, and if you’re not excited by Orci leaving, you damn well know you are at the idea of the Shaun of the Dead director taking over. Don’t get too giddy just yet, however. This is all an unsubstantiated rumor from an unnamed source at this point, and the report isn’t even that Wright has the job, just that he’s on the shortlist. And given the dozens of similar rumors surrounding The Force Awakens that never panned out over the past year or so, we know how often nothing comes of these. Still, it’s an enticing prospect. It wouldn’t be Wright’s first foray into sci-fi, as his last directing gig was the alien invasion pub crawl The World’s End, and his pal Simon Pegg plays Scottie in the new films, so he’s got an in right there. Hell, it won’t even be the first time Wright works on Star Trek, as he famously directed a single shot in STID. It remains to be if Wright is even interested. He’s got a couple of smaller films lined up, and after the kerfuffle with Marvel and Ant-Man a while back, he might not be super eager to jump back into bed with a massive studio project like this. Then again, it’s Star Trek, so maybe that has some pull. Attack the Block’s Joe Cornish was also in the running for the Star Trek 3 job at one point, and that would be a damn find time. I doubt the studio will have any shortage of great directors to choose from when it comes to filling this chair. With Orci still staying on in multiple capacities, you have to assume that the script he’s been working with will remain in place. From what we know, which isn’t much, the new story picks up with the crew of the Enterprise finally in the middle of their five-year mission, which thankfully means actual space instead of shenanigans on Earth, and that there’s a small role for William Shatner if he wants it. 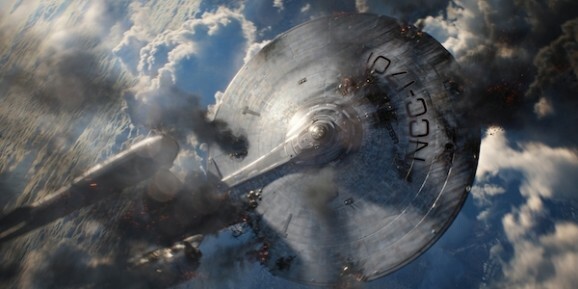 Filming on Star Trek 3 could begin as early as February 15, 2015, with an eye for a summer 2016 release, which just so happens to coincide with the 50th anniversary of the franchise. This site really seems to have a real problem proof reading stuff before they post… “Star Wars Into Darkness”? You think this site has proof readers? You give them too much credit. This seems absurd to me. Orci leaving is great news, but I doubt Edgar Wright would jump out of the Lions Den and into a Shark Tank. He’s no fool, give the man Galaxy Quest and go and beg Neill Blomkamp to make Trek 3, Or Alfonso Cuaron, he’d do as well.